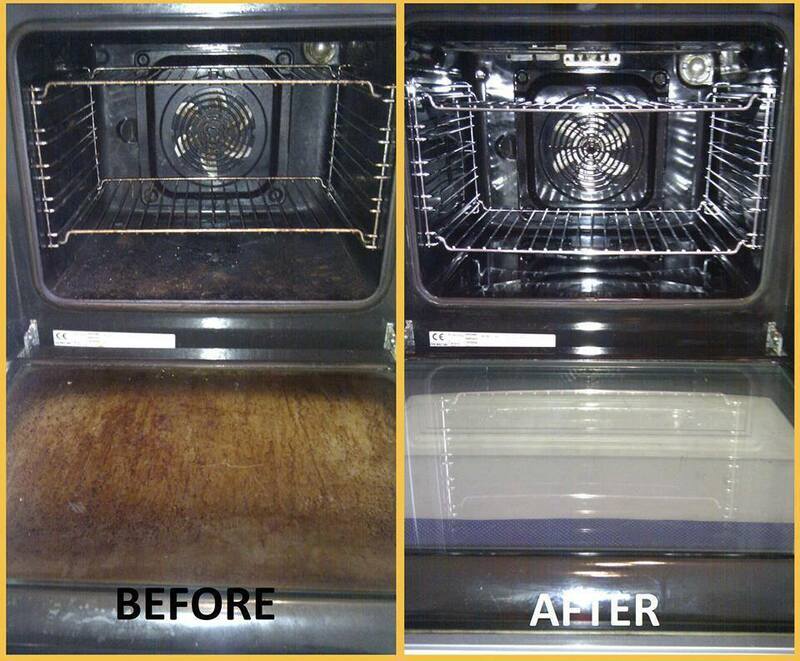 Strong and Beyond: CLEANING YOUR OVEN - The easiest way EVER! Begin by preheating the oven to 150 degrees (or your lowest setting available). While the oven is heating, put on a pot of water to boil. Once the oven has reached 150, turn it off and pour 1 cup of ammonia into a heat safe bowl or baking dish and place it on the top rack of the oven. Place the pot of boiling water on the bottom rack, close the oven do...or, and leave them both in the oven overnight. The next morning, open the oven and remove both the bowl of ammonia and the pot of water, keep the ammonia – you’ll use it later. Remove the racks and leave the oven door open to air out for 15 minutes. 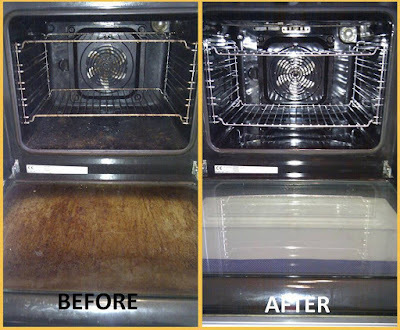 Add 1-2 teaspoons of dishwashing liquid to the ammonia, along with 4 cups of warm water, and using a heavy-duty nylon scrubbing pad dipped in the ammonia mixture, begin to wipe away the softened grease and grime along the sides and bottom of the oven. It should be a fairly easy job at this point. Wear some kitchen gloves, since ammonia can be caustic to skin. Rinse/wipe clean with a damp cloth. Wow!! That first picture looks just like my oven. I will definitely try this.